You probably need a cheat sheet to keep track of all of Samsung's tablets: the Galaxy Tab 7, the 10.1, the 8.9, the 7.0 Plus, the 7.7, and did I hear a niner in there? And now there's the Galaxy Tab 2, with two models (7.0 and 10.1) that are very slightly improved, but not enough to justify a few hundred bucks. Most of the update is very incremental, and honestly, not much of an update at all. The processor is the same (dual-core 1GHz) as the Galaxy Tab, as are the displays (1024x600 for the 7.0, 1280x800 for the 10.1), and the camera (3-megapixel on the back, VGA on the front). As for the improvements, you might miss them if you blink. These are the first Galaxy Tabs to roll out with Android 4.0 Ice Cream Sandwich, though Samsung has promised the OS will also come to older devices. The addition of front-facing stereo speakers on the 10.1 and a microSD port for both helps Samsung pitch the Tabs as "entertainment" devices. A new infrared port lets you control your entire home theater, including devices from other manufacturers, using your tablet with the Smart Remote app. The app itself is not new. And then there's the added monetary incentive. Samsung is also giving 50GB of free Dropbox storage—a $99 value—for the first year. The 10.1 costs $400 and the 7.0 $250, which are lower than their predecessors, but not quite in that sweet spot that's going to make the Galaxy Tab 2 compete with the $199 Amazon Kindle Fire, which has easily become the top non-iPad tablet on the market. 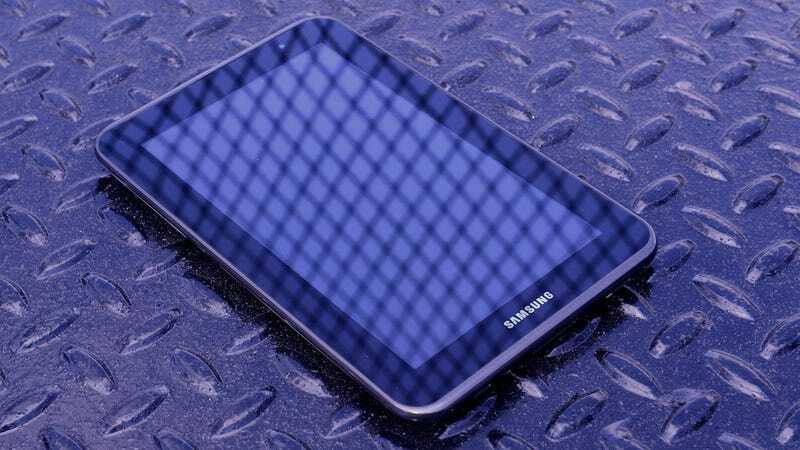 Samsung told us the Galaxy Tab 2 is intended to be a incremental update. Meaning, for some reason, they're launching two new products that aren't very different at all from tablets already in existence. Look for the 7.0 on April 22 and the 10.1 on May 13. And closely, too, lest you confuse them for their remarkably similar ancestors.